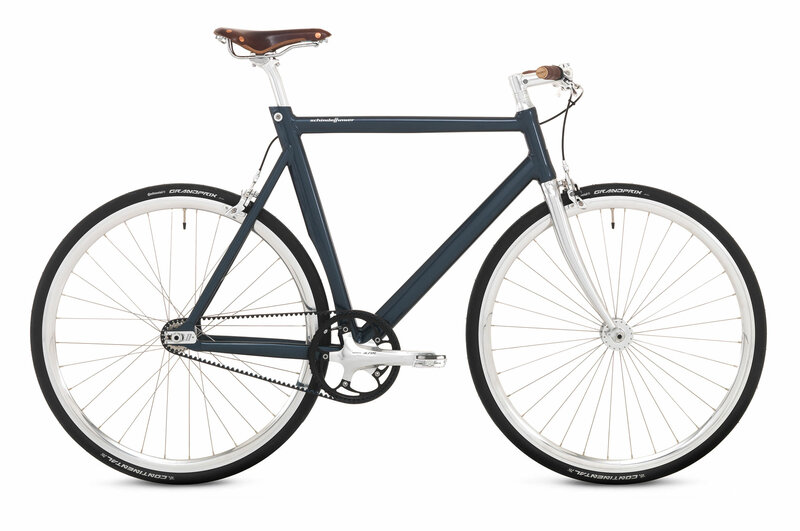 Siegfried has quickly become a modern classic for urban commuters for its timeless design and modern technology. 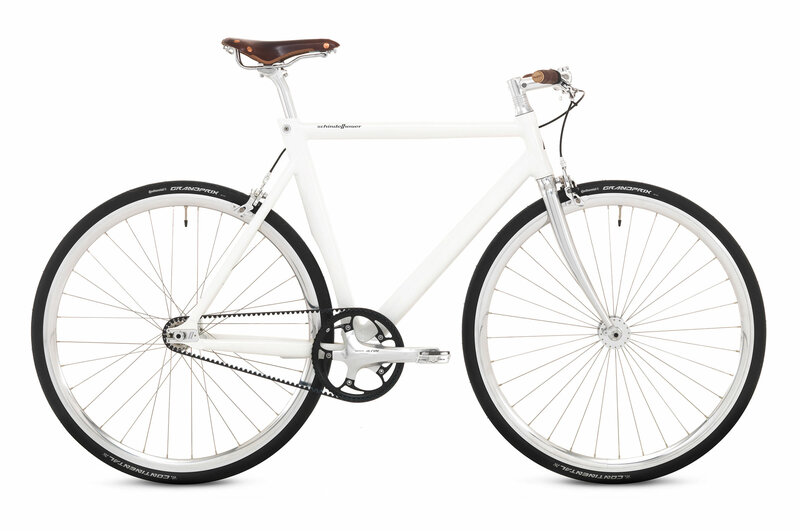 Equipped with the Gates Carbon Drive for no-maintenance, grease-free everyday riding to be done as you wish single speed or fixed. Siegfried will effortlessly glide through traffic, turning each journey into an adventure. 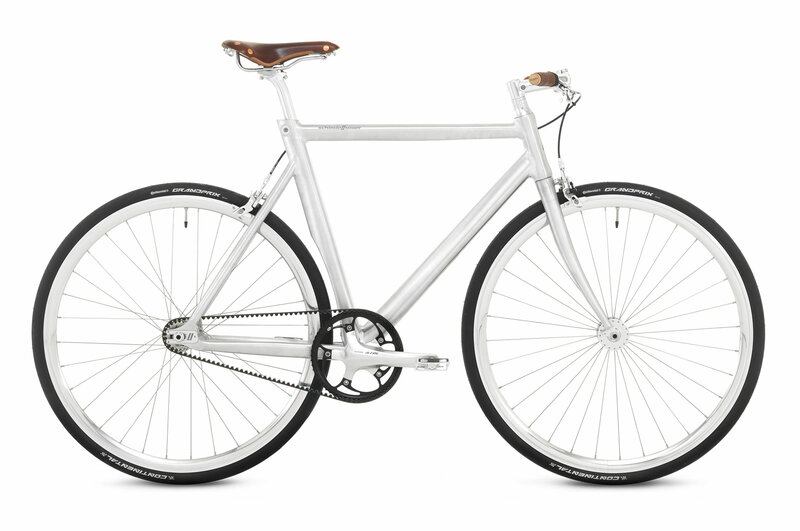 Minimal, light, and agile, with pinpoint handling, Siegfried comes with comfortable and stylish Brooks leather accessories and curated polished components to complete what is simply the most practical, reliable, fast commuter bike on the market. The Siegfried pictured here still has Brooks bar ends (see pictures below), which have proven to be not durable enough for our liking. Since 2017 we are using screwed, silver polished aluminium bar ends.